Redmi Note 3 Snapdragon 650 Vs Redmi Note 3 Mediatek Helio X10 . Xiaomi Redmi Note 3 pro Snapdragon 650 vs Xiaomi redmi Note 3 mediatek MT6795 : Which one is better ? 1 Xiaomi Redmi Note 3 pro Snapdragon 650 vs Xiaomi redmi Note 3 mediatek MT6795 : Which one is better ? 1.1 Comparison between Xiaomi redmi note 3 pro Snapdragon 650 vs Xiaomi redmi Note 3 mediatek helio X10 . 1.1.1 Redmi note 3 pro vs Redmi note 3 Mediatek helio X10 : Whats the Difference ? Do you want to know The Comparison between Xiaomi redmi note 3 Snapdragon variant vs Xiaomi redmi note 3 mediatek variant . Today we are here with a guide on the difference between the redmi note snapdragon 650 version vs Redmi note 3 mediatek heliox10 verison . Xiaomi recently launched the Qualcomm snapdragon 650 version of xiaomi redmi note 3 in india in 2 Different variants ( 3Gb + 32Gb ) And ( 2Gb + 16 Gb ) , Just before launching the Snapdragon version xiaomi also launched the Mediatek variant of the redmi note 3 with Flagship Helio x10 processor . Now just because both the smartphone carries same name and same design many users are confused with the doubt that which redmi note 3 is better the Snapdragon 650 variant or the Mediatek helio x10 variant . So today in this guide we will tell you the Comparison and difference between the Xiaomi note 3 pro Indian version vs Xiaomi note 3 mediatek helio x10 version . Comparison between Xiaomi redmi note 3 pro Snapdragon 650 vs Xiaomi redmi Note 3 mediatek helio X10 . So lets start the guide , First of all we will discuss about the Hardware part of bot the devices . You May also Like :- Trick To Buy Xiaomi Redmi note 3 From amazon Flash Sale . 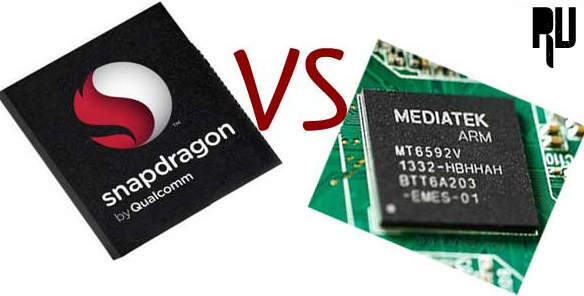 Both the smartphones come with one of the best processor present in the industry till date but still there is a huge difference in both the processors . The Redmi note 3 helio x10 comes with mediatek’s Flagship helio x10 processor which is the fastest and most powerful processor from the Taiwan company , however the company also launched the mediatek helio x20 processor but it is still not seen on any device . How to update xiaomi redmi note 3 snapdragon to marshmallow . The helio x10 is a Octa core processor with supporting speed upto 2.2ghz . The processor supports Capturing Hd images and recording 4K videos . The Redmi note 3 Snapdragon 650 comes with Qualcomm’s 650 processor , before going to the specifications of the processor it is worth mentioning that redmi note 3 snapdragon 650 is the only smartphone in the world that comes with this processor . How to solve insufficient Storage problem in android without Root . Cortex A72 Chip and 4 Standard Cortex A53 chips . The phone supports many new advanced technologies like Volte , More fast downloading and uploading speeds . Redmi note 3 pro vs Redmi note 3 Mediatek helio X10 : Whats the Difference ? The Xiaomi redmi note 3 mediatek comes with 13 mega pixle primary camera . The camera is undoubtedly good and captures awesome images . Coming to the Video , So the Camera of redmi note 3 mediatek is capable of capturing 4k videos by using Google camera .The default app supports Slo-mo recording , time lapse video . There is a 5 mega pixel camera unit at the front of the smartphone which comes with beautify feature which makes your selfie look more beautiful and good . The redmi note 3 snapdragon comes with a 16 mega pixel rear camera . This is the first smartphone from a company that features a 16 mega pixel in such affordable price tag and not only this but this is the best camera we have seen so far in a budget level segment smartphones . Comparing the camera with mediatek so the smartphone captures more detailed and colorful images . The low light imaginary is also good . List of Devices Updating to Android N 7.0 . Coming to the front camera , there is a 5 megapixel camera at the front end . The front camera is same like mediatek’s and we didnt found any Difference between the quality of both the cameras . Redmi note 3 mediatek . The Redmi note 3 mediatek Comes with a 5.5 Inch Full Hd display with a Pixel density of 401 pixels per inch . For the Protection of the screen there is a corning gorilla glass 3 however this is yet not confirmed by the company but in a scratch test we saw that the smartphone can bear any sharp object and protects the smartphone from being scratched . The redmi note 3 snapdragon comes with the same display of The mediatek variant , However we noticed that the mediatek variant has a brighter display and delivers more vibrant color . One advantage that the snapdragon variant carries is the Sunlight display . Sun light display is a feature which adjusts the Color,contrast and brightness of display according to the Light . As we mentioned earlier that both the smartphones comes with a much powerful processor . As the mediatek version of Redmi note 3 runs on Helio x10 processor which is the flagship processor of mediatek so we didn’t found any kind of lag or hang while even playing the biggest games like Asphalt 8 , Mortal combat and many other . The processor is also capable of capturing 4k videos . The processor is a Octa core processor out of which each core is clocked at 2.0ghz . The Snapdragon version of Redmi note 3 runs on the Snapdragon 650 processor which is one of a kind in the world . The processor is a hexa core processor with having 2 high power cortex A72 processor and 4 Cortex A53 processor . A combination of 6 processor can handle any type of task easily and also makes your battery life last longer . We didn’t find any performance difference in both of the smartphones and as mentioned earlier that bot the smartphone’s comes with one of the very best processors . However in the Antutu benchmark test the snapdragon variant of the xiaomi redmi note 3 Scored around 67k and the mediatek version scored 53K . Also the Snapdragon variant can capture slightly better images compared to the helio x10 variant . Rest all things are same . However it is also true that Only Snapdragon 650 variant is available for sale in india . So this was our guide On Comparison between Xiaomi redmi note 3 Snapdragon 650 vs Xiaomi redmi note 3 mediatek helio X10 : Which one is better . Thanks , Glad to know you liked the Comparison . after rooting phone will remain in warranty or not? After rooting the Device Warranty Will be lost . in the both processors which one you prefer for us?? Hi Amit Xiaomi Redmi note 3 with snapdragon processor gets edge over the mediatek variant as the device gets more powerful processor and Volte 4G support .